If there is one thing that I love, but always forget that I love, it's egg salad. 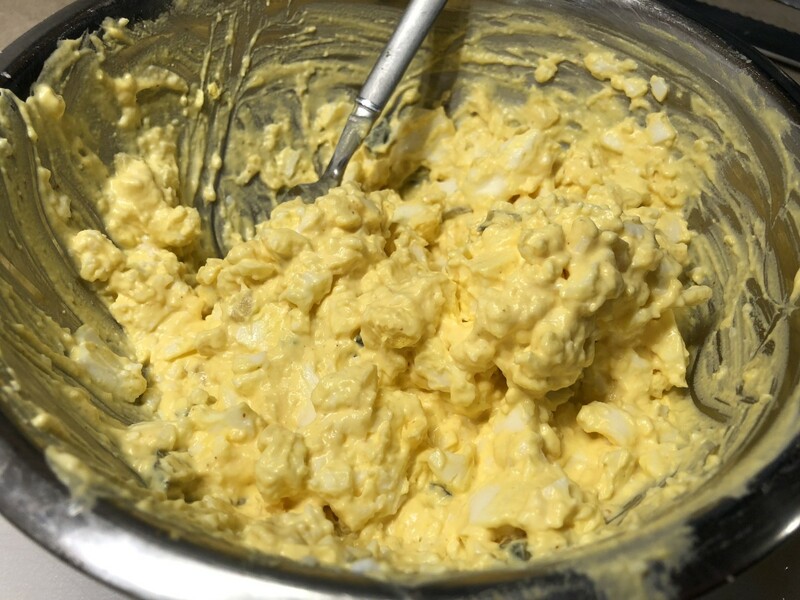 Years ago I worked in an office where a co-worker would make egg salad about once a week. Initially this is a nightmare. She had an egg cooker and the office was small, so at least once a week the office smelled of eggs ... but then should would make the egg salad and all was made well! I know that my mom must have made egg salad when I was a child, but I also assume that I hated it. Not because it wasn't good, but because I was a child and just didn't appreciate good food. So mom, if I ever didn't like your egg salad as a kid, take no offense. I have grown into an egg salad loving fool! So really my love affair with egg salad began in that office years ago. After leaving the office I never made egg salad myself. It's not that it was hard, or took much time, but I just decided that other things were more worth my effort. Also, I was not that best at hard-boiling eggs. It's not a hard thing to do, but they never peeled well, and I always got frustrated. That is until I found my fool proof way to hard boil easy peeling eggs! I made a blog about it and have attached a link to it here. Once I had this down it was the path that led me back to egg salad. 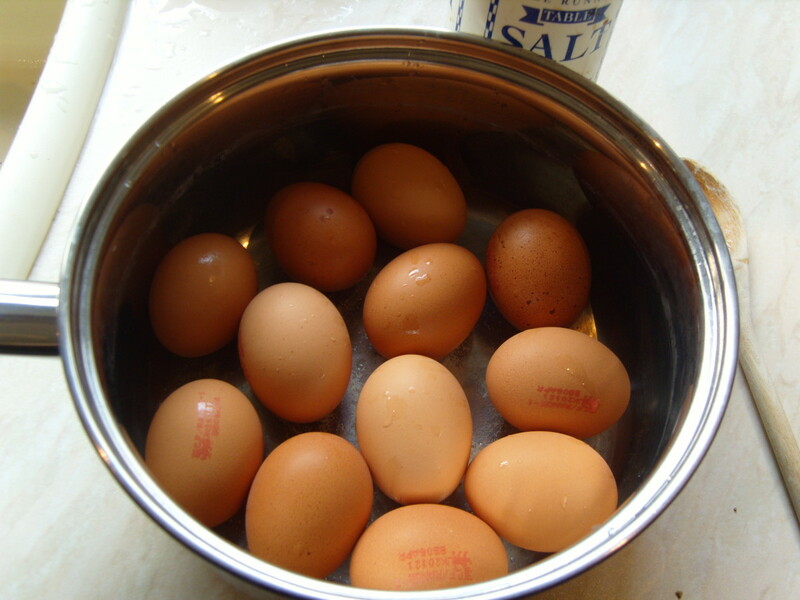 How to make easy to peel hard-boiled eggs in the comfort of your home. Left Over Hard Boiled Eggs from Easter. When Easter Give You Eggs. After this last Easter I had about 8 left over hard boiled eggs. These were meant for greater things - deviled eggs (which maybe I will have an article on soon as well). As things happen though, some Easter plans fell through and I only needed to make a handful of deviled eggs, and even the amount I did make was in excess. So for a couple days the rouge hard boiled eggs sat in my fridge starring at me every time I opened the door. So finally I made the decision to put those eggs to use and make an egg salad. At this point in my life I don't really measure anything out, although I will give basic proportions of ingredients below. It's so simple - eggs, mayonnaise, mustard, and seasoning salt. That's the basics! I usually add more to mine than this, but for an easy, delicious, egg salad that's all you need. As for the extras I will discuss that more later. 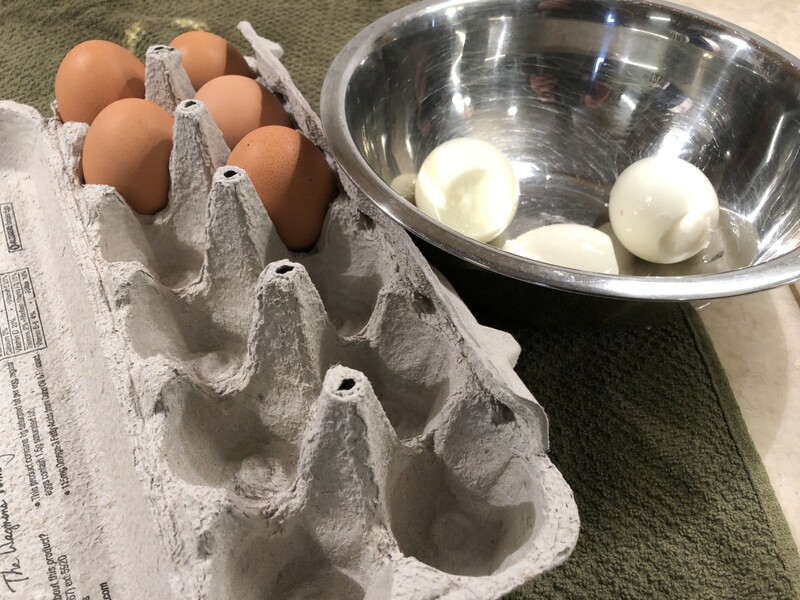 The extras can be added and stirred in once the egg salad is all mixed up, so it's not problem adding in other ingredients once the base is created! 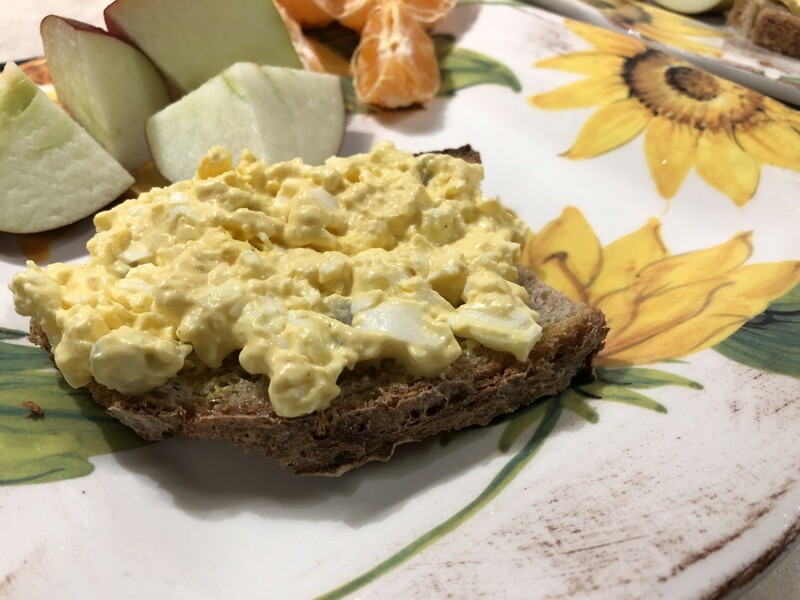 Do you love egg salad? Yes, it's an underrated dish! Mash and Stir. Mash and Stir. There's no secret to making egg salad. Add all the ingredients to a bowl and start mashing it with a form, a masher, or whatever utensil you prefer to use. You can mash it as smooth as you like or leave it chunky! There's no right or wrong way to make it. I like both mustard and mayonnaise, but if I had to choose one I like mayonnaise more. So usually when I mix everything up I might add a little more mayonnaise to get a creamier flavor. I also enjoy a chunky egg salad. After the initial mashing of the eggs I will resort to mainly stirring, that way I have a few big egg chunks left over. These are just my preference though, experiment and make it how you like it! 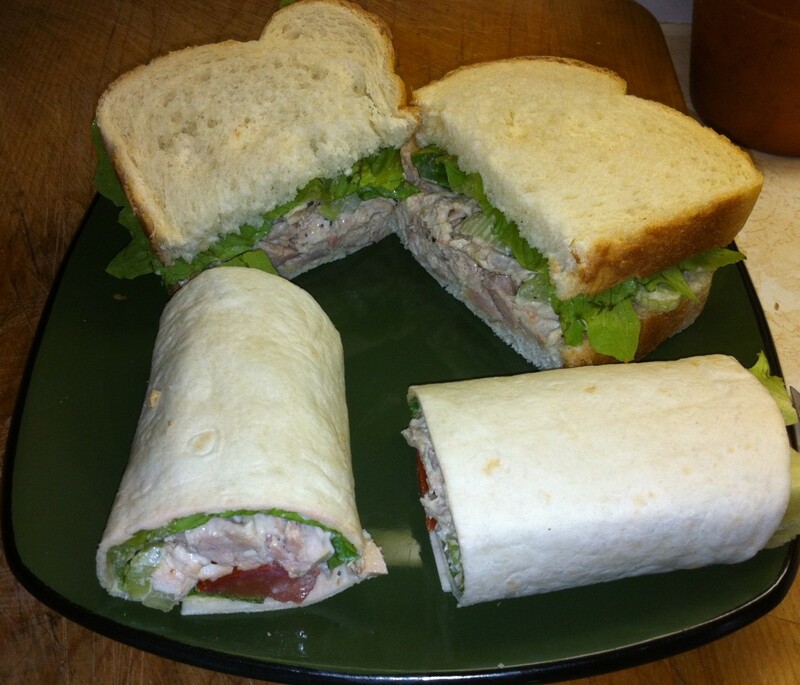 Once your creation is done, pile it onto some bread and chow down! I make a lot of sourdough bread, so as you might have seen from the top picture in this article I make a lot of open face sandwiches. 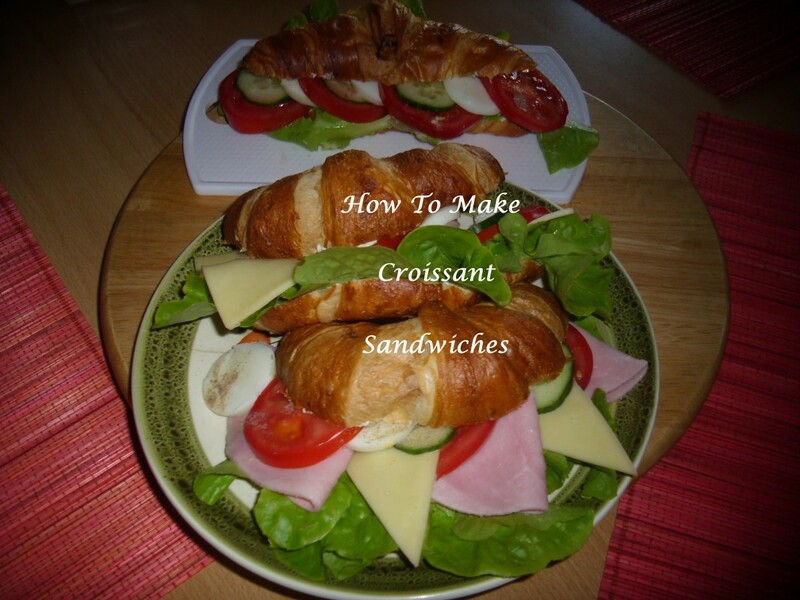 The bread is usually a bit more tough - and I like to make a toasted sandwich! I will admit, that more than once I have made egg salad and just topped it on some crackers or used it as a dip for tortilla chips ... don't judge me. It's really good! So here I the fun part about egg salad, you can add all sorts of stuff to it to enhance the flavor. For the recipe that I made I only added one thing - Pickles. I do home canning as well and have some great bread and butter pickles. I took about 4-5 slices, chopped them thin and added it to my mix. My wife hates pickles, but even she had to admit that the addition of the pickles to the egg salad was quite good. It does not overpower the meal. Other things you can add? Thinly chopped celery, red onion, green onion ... really any onion. Green bell pepper. Toast your bread and add some cheese to melt on it. Really, there is so much that can enhance egg salad. There is one ingredient that you can add, that enhances and also shines. Avocado. That's right. Avocado egg salad. I don't do this often because you need 1 or two RIPE avocado that are only good for guacamole ... they need to be so ripe that there is little mashing needed when adding to the egg salad, but let me tell you, if you have that perfectly ripe avocado at the same time as you are making egg salad it will blow your mind. Just give it a try! Also, if you give anything in this article a try please let me know what you think about it in the comments below! 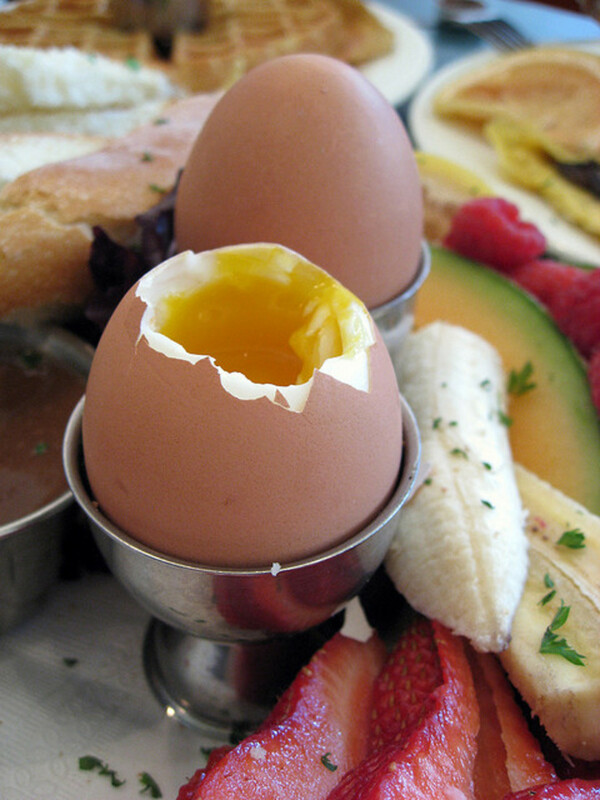 I would love to hear what you add to your egg salad or how you make it different. This is a dish that is good basic and even better with your own special touches, so lets hear about them! Add all ingredients to a mixing bowl and mash and stir together. Before adding any extras taste to make sure it is how you like it. If it is too mustardy, add a bit more mayonnaise. If it's to creamy, add a bit more mustard. Be sparing while adding additional mustard and mayonnaise. You are accenting the eggs not overpowering them. For the seasoning salt just add to taste. You can use any seasoning salt. I don't have a preference to recommend as they are all fine in their own ways. Use what you like best! Add in extras and mix. Ideas for extras: Pickles - chopped Onions - chopped Celery - chopped Avocado - mashed You can be creative here. Pick something you like and try it out! But don't over do it. You should be working in quantities of about 1-2 TBS unless adding avocado. Then add an entire, ripe, avocado and mash and stir! I love your recipe. The first time I knew this dish was 15 years ago, when the maid taught me how to make it. Awesome !